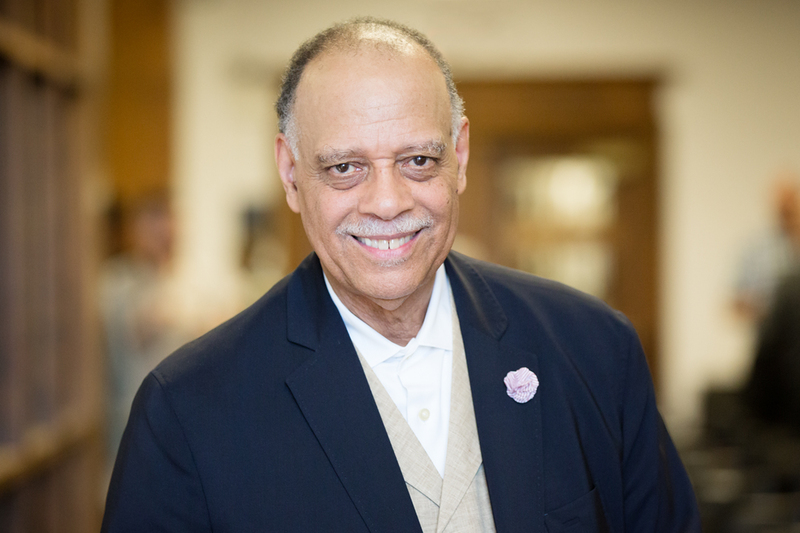 The Rare Book and Manuscript Library has acquired the papers of Haki Madhubuti, a poet, educator and founder of Third World Press in Chicago, and the papers of the press. Third World Press published the work of Gwendolyn Brooks and many other prominent African-American writers. The collection will provide new information about the relationship between the press and Brooks and its other authors. CHAMPAIGN, Ill. — The Rare Book and Manuscript Library at the University of Illinois has acquired a collection of papers from poet Haki Madhubuti and from the Third World Press/Third World Press Foundation in Chicago – founded by Madhubuti and the oldest independent black-owned publisher in the U.S., and the publisher of works by many prominent African-American writers, including Gwendolyn Brooks. The materials provide a record of the workings of the press, including its editorial processes, correspondence documenting key literary and professional relationships, business records, marketing, distribution and fundraising. They also include manuscripts by leading Third World Press poets and writers. “This acquisition reflects our deep commitment to modern poetry at RBML, a commitment to Illinois poetry in particular, and it documents an important movement on the South Side of Chicago. It’s a commitment to document the world of modern poetry in the most inclusive manner possible,” said Lynne M. Thomas, the head of the Rare Book and Manuscript Library. Madhubuti, a poet, educator and activist, felt strongly about the papers remaining in the state of Illinois. He turned down several offers from universities outside of the state that were interested in acquiring them, he said. Madhubuti was born in Little Rock, Arkansas, and grew up in Detroit, but he has lived most of his adult life in Chicago, where he founded Third World Press, started several charter schools on Chicago’s South Side, and taught at Chicago State University and DePaul University, as well as Howard University and Cornell University. “This is my state,” he said. Madhubuti also wanted the papers to be at the same institution as those of Brooks, who was a mentor to him as a young writer, as well as a close friend. The Rare Book and Manuscript Library in 2013 acquired the literary archives of Brooks – the first African-American to win a Pulitzer Prize and Illinois poet laureate for 32 years, until her death in 2000. The new materials will illuminate the relationship between Brooks and her publisher, as well as broaden the understanding of the artistic community to which she belonged and her influence on younger writers, Thomas said. “The Third World Press papers document that Gwendolyn Brooks was by no means the only black writer of consequence of her era, and that there is a robust group of writers still producing fantastic work in that tradition,” Thomas said. Madhubuti agreed, noting that Brooks was both a precursor to and a part of the Black Arts Movement of which he was a primary figure. The materials also document a shift in Brooks’ consciousness in how she thought about race, through her move from publishing with a large, mainstream press to a black-owned press, Thomas said. “As Gwendolyn Brooks matured as a writer, her work matured as well. The amount of space and attention she gives to the experience of being black shifts as time goes by. Her shift to publishing with Third World Press is reflective of that,” she said. Madhubuti – who was born Don Lee – started the press in 1967, using a mimeograph machine and operating out of the basement of his apartment. He established the press during the height of the Black Arts Movement of the 1960s and 1970s. The press published fiction, poetry, history, memoir, social science, cultural criticism and children’s books. It printed and distributed the work of black writers and scholars that would likely not have been taken on by traditional publishers. Madhubuti also produced significant work of his own, including books of poetry and essays. The press will celebrate its 50th anniversary with a weeklong series of speakers, workshops, movie screenings and performances from Sept. 30 to Oct. 7. The materials from Third World Press are a very large collection, contained in about 300 boxes or about 500 linear feet of library shelving. The Rare Book and Manuscript Library is currently conducting a search for an archivist to process the collection. Madhubuti was at the Rare Book and Manuscript Library on Sept. 20 to speak at the opening of an exhibit of materials from the Brooks archive. The exhibit, “Matter in the Margins, Gwendolyn Brooks at 100,” focuses on Brooks’ process of creating marginalia on her own work and others, Thomas said. It will run through Dec. 20. The exhibit includes comments she made on poems she wrote earlier in her career, responses to letters from her editor and examples of journaling. Brooks was an inveterate note-taker and self-chronicler. The exhibit was curated by former Rare Book and Manuscript Library curator and archivist Anna Chen. It premiered at the Poetry Foundation in Chicago this summer. Editor’s note: To reach Lynne M. Thomas, email lmt@illinois.edu.